The Reverie Bar and Cafe has announced they will close temporarily in July as they search for a new venue. Until then, trumpeter and curator Steve Kenny intends to keep on doing what he has done weekly for the past two years– book the best talents in the area every Thursday night. This week (May 18) he managed to book two bands to extend the evening. 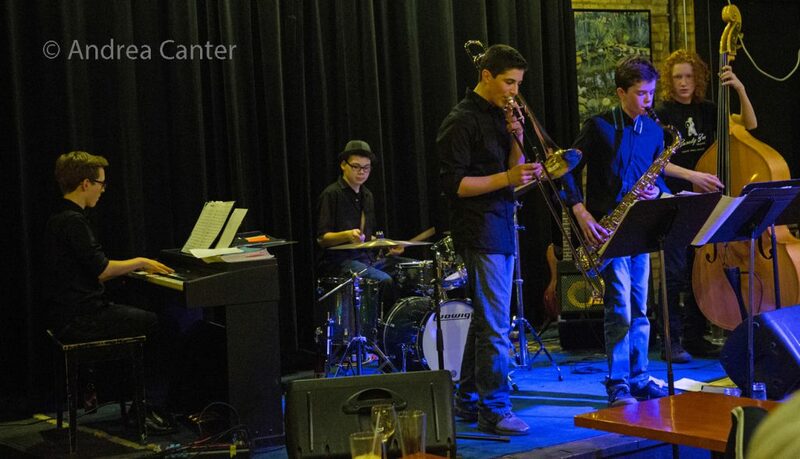 The first set showcases the some of the youngest jazz artists in the metro, a quintet dubbed Below Zero. They’re followed by another band of relatively young jazzers led by Kenny himself as the Steve Kenny Quartet, with Will Kjeer, Ted Olsen and Miguel Hurtado. 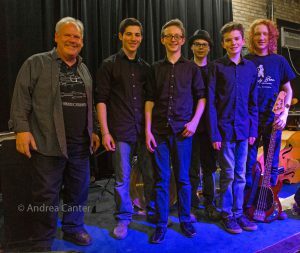 Below Zero is a 9th-10th grade combo at the MacPhail Center for Music, directed by renowned clinician and saxophonist Greg Keel. The quintet includes Noah Willhite on tenor sax (9th grade, Southwest High School); Jacob Rochelle-Share on trombone (9th grade, Southwest High School); August McKinney on piano (9th grade, Southwest High School), Jorgen Linne on bass (10th grade, Southwest High School), and Nick Adams on drums (10th grade, Totino Grace High School). Over the past two years, Below Zero has performed at the Black Dog, Barely Brothers Records, Pepitos, the Marsh, Jazz Central, Reverie, Warming House and more. It’s spring–why are they “Below Zero?” Because they are “beyond cool”! Steve Kenny studied at the University of Wisconsin-River Falls. 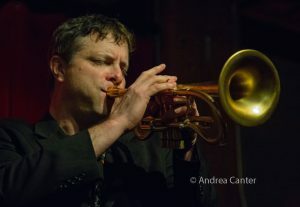 Among many projects, he has performed with Pete Whitman’s Departure Point, Dave Karr, The Five, What Would Monk Do, and the Cedar Avenue Big Band. 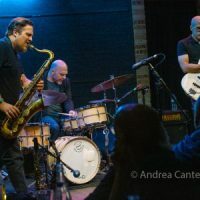 He’s best known as co-founder of the Illicit Sextet, an ensemble popular in the 1990s before taking a long hiatus, and back in action since 2009, with a new CD released last week. 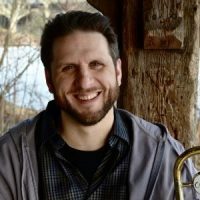 Steve has received a Minnesota Music Award, West Bank School of Music Jazz Composer Award, a commission from Zeitgeist, and multiple honors as Best Jazz Trumpet at the Eau Claire Jazz Festival. With support from state arts board grants, he’s curated the “All Originals” jazz series at Studio Z for the past three summers (and fourth season will be announced soon). 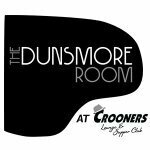 In fall 2014 he launched the weekly Saturday Night Jazz at the Black Dog series, and in spring 2015, brought a similar series (Friday Night Jazz) to The Nicollet, now on Thursdays at Reverie. And that instrument he plays? It’s a Flumpet™– a hybrid trumpet/flugelhorn. Kenny will release an album featuring several editions of his quartet in 2017. 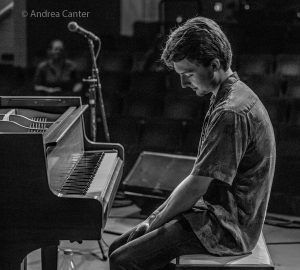 Pianist Will Kjeer performed for two years with the Dakota Combo and the PipJazz Youth program, attended the post-high school program at Interlochen Arts Academy, and spent a year studying jazz piano at Cal Arts. He is now enrolled in the jazz program at McGill University in Montreal. Will has led bands around town since his mid-teens and is an original member of Steve Kenny’s Group 47. Last summer, he lead an ensemble on the All Originals series at Studio Z and joined Group 47 at the Rochester (MN) Jazz Festival. Will is also a member of a young lions’ ensemble, Hoaxer, which will hold a celebration for its first recording at Vieux Carre’ on June 2. Ted Olsen studied bass with Travis Schilling and Adam Linz. He graduated from St. Paul’s Como Park High School and went on to study composition at Luther College in Decorah, IA, finishing college studies at the University of Northern Colorado in spring 2015. 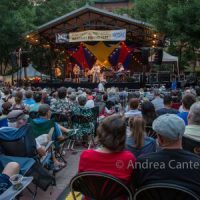 In the Twin Cities, Ted has taught at the Twin Cities Jazz Workshop and has performed as leader and sideman at various venues including the Artists Quarter, Jazz Central, Black Dog, Icehouse, Vieux Carré, and Twin Cities Jazz Festival. 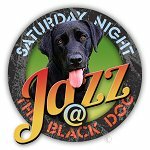 His quartet has also performed on the Saturday Night Jazz at the Black Dog series. 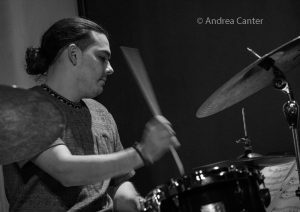 Miguel Hurtado (drums) played throughout the Twin Cities as a teenager with Javi Santiago in several youth bands, as well as with South High jazz ensembles. 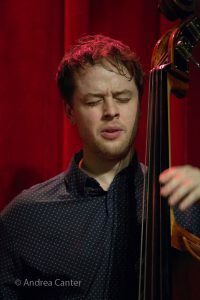 After graduating from the Manhattan School of Music in spring 2010, he returned to the Twin Cities where he quickly became a busy member of the local jazz scene. He led his own ensembles at the 2011 Twin Cities Jazz Festival and performed at the Artists Quarter and Dakota; more recently he has been heard at Jazz Central, the Icehouse, Black Dog and more. In addition to leading his own bands, he has performed with Jake Baldwin, John Raymond, Jeremy Walker, Javi Santiago, Joe Strachan, Ted Olsen, Courageous Endeavors and Aaron Hedenstrom. He’s also expanding his musical resumé, playing with some local pop and R&B singers, particularly Alicia Steele and vocalist/rapper Toussaint Morrison. 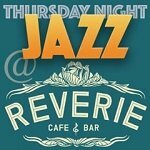 Thursday Night Jazz at Reverie takes place weekly at 1931 Nicollet Av South in Minneapolis, just south of downtown. No cover but donations to the tip jar ($10 suggested) will support the series and musicians; tip jar tokens available at $10 each! Thursday schedule at www.thursdaynightjazzatreverie.info.